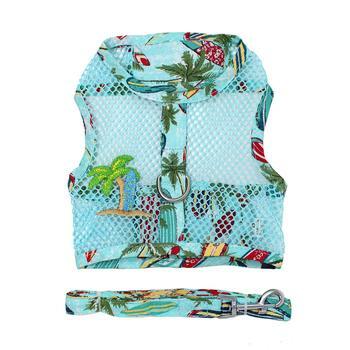 Our Hawaiian Cool Mesh Harness line features an Embroidered Surfboard and Palm Applique. Very Lightweight for hot summer days. 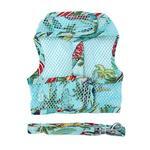 Features reinforced D-Ring strip for extra strength and heavy duty hook and loop closures. 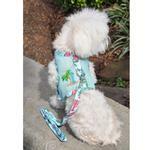 The tropical colors will have your pup feeling like they are on vacation. 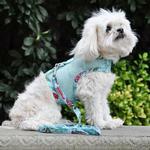 Heavy duty hook and loop closures are strong enough to allow you to pick up your dog to lift them out of harm’s way.